DIAGNOSTIC FEATURES: Tangled cushions; brownish tint; squamules on podetia; entirely corticate; podetia P+ red. 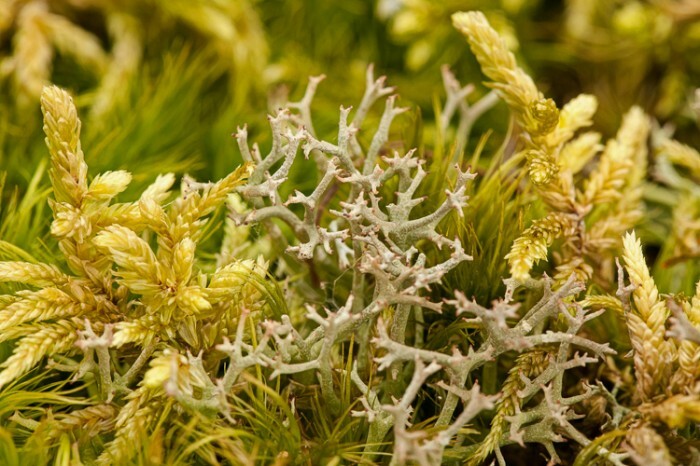 A variable species, from coarse forms with stout, torn, and fissured branches, to slender graceful forms with relatively few branchlets. Always with brownish tint, corticate, and squamules showing on podetia; compare with other mat-forming species in Ohio which are ecorticate, or with usnic or squamatic acids. 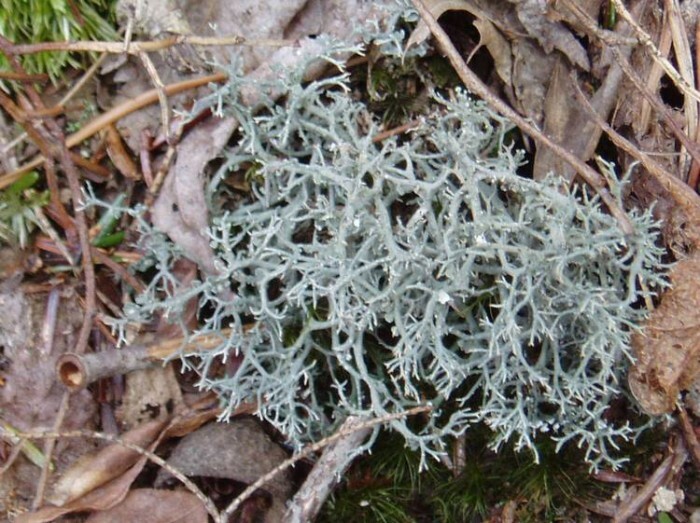 ECOLOGY: This lichen is common over the eastern half of the US; widespread in Ohio, on soil, with moss over rock, or rarely on decaying logs; usually found in open, dry woods.